Growing up, I remember my parents telling me “just because you can, it doesn’t mean you should.” This is a simple message that is intended to make one think about their actions, though for many of us, the message changes with age. I recall a lecturer of mine once saying the word ‘should’ can be removed from our vocabulary. Often the word is negatively tied to ‘obligation’ and can shape our thought process in an unhealthy way. The word is also described as debilitating, disempowering or coercive by those who professionally dissect this particular word. In a personal experiment, I omitted the word ‘should’ from my speech for several years. True enough, I didn’t need it, or particularly miss it. It has crept back into my vocabulary in recent years, though I often strive to replace the word with empowering ones such as desire, choose or want. Back in January, the site managers and I had a session where we dissected the words ‘can’ and ‘should’ in relation to perceptions about women and their ability to perform certain tasks, part of what I consider an ongoing conversation about gender roles. We considered how we can be more precise in their use, in order to reinforce the point that our work is all about giving people the chance to develop their talent in a supportive environment. We CAN mold high school graduates into amazing primary school teachers. Higher education has incredible value, but throughout my life I have seen individuals do incredible things with determination alone. The guidance our teachers receive will undoubtedly remain with them and benefit them for years to come. 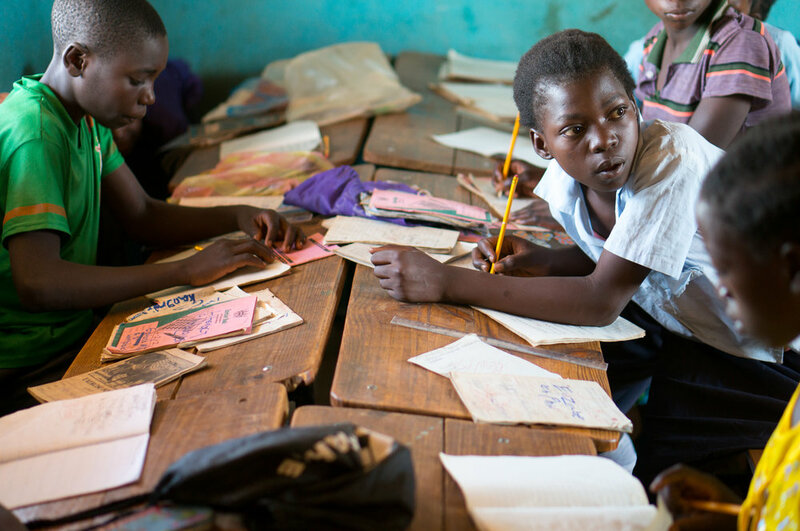 We CAN provide a better quality education than the alternatives that exist where Impact works. The technologies we provide are a definitive advantage of our model, but the support we provide and standards we set also play a major role. We CAN shift perceived gender roles by building confidence in our scholars, empowering our teachers and maintaining an environment that is free from discrimination. Whether or not you use the word ‘should’ is up you to decide. 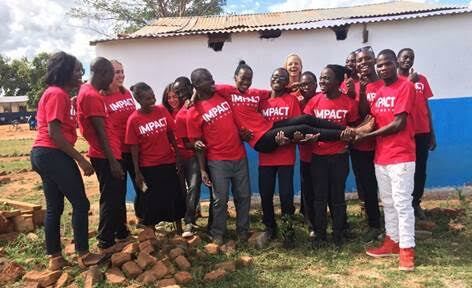 Impact Network has shown it CAN improve education for thousands of Zambian children and I am one of countless others that is grateful the organization has chosen to do so. We were inspired by the current display of athleticism in Pyeongchang, South Korea. While Zambia might not be a conducive environment for the “Winter Games”, Impact Network hosted our very own Olympic Games, “The Impact Academic Olympics”. On February 17, 2018, we began our inaugural event! With this being our first Academic Games, we were not sure what our the day would bring, but we were sure that our fierce competitors (and legendary rivals) from Joel and Kanyelele would bring nothing but their best. We opened the day’s events began with a warm-up for all of our athletes to prepare for a day of fun and learning. The day consisted of two events: The 100 meter Dash and Spell (a spelling relay race), and The Number Showdown (400-meter sprints with math problems as hurdles every 100m). Our events focused on literacy and numeracy, and also added a touch of athleticism and dash of fun. We closed the day's events with a small closing and award ceremony, which was filled with celebration and smiles because everyone was a winner! Not only did all of our student receive a certificate of participation but they were also able to practice their educational skills in a new, interactive and fun way. I hope our student participants will store this day in their memory bank for inspiration and maybe one day, years from now, we will see one of our scholars participating in the Summer Olympics or even the Winter Games. 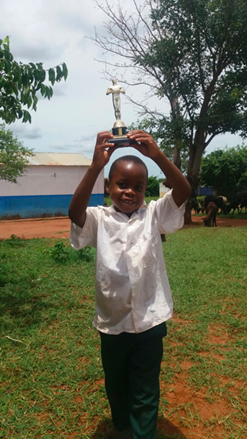 Thank you to our awesome team in Zambia who helped make this happen! The Winter Olympics have been on my mind (and my TV!) – as a Canadian, the winter ones have always been more special to me than the summer ones. Zambia is not competing in the 2018 Olympics, though this year is the largest African contingent with eight countries and twelve athletes participating. Today, Canada tied with Germany to take home the gold in the two-man bobsled, and I was reminded of the 1988 Calgary Olympic Winter Games. This was the year when Jamaica sent in a bobsledh team – the true story behind the movie “Cool Runnings”. The team was made up largely of track sprinters (the lore says while recruiting they showed a video of the sport to a group of potential athletes and all of the athletes left the room!). The athletes had a crash course in bobsledding in New York and Austria, where they faced the harsh realities of weather and training. At the 1988 Olympics, they became a fan favorite because of their status as the ultimate underdog of the games. Not only was there the novelty of having a tropical country compete in a cold-weather sport, but they had very little practice going down a bobsled track before, and they borrowed spare sleds from other countries to compete. In a show of brotherhood, other bobsledders were quick to give them guidance and support. They did not officially finish after losing control of the sled and crashing during one of their four runs. However, they showed significant improvement throughout the games and impressed observers with some fast starts. 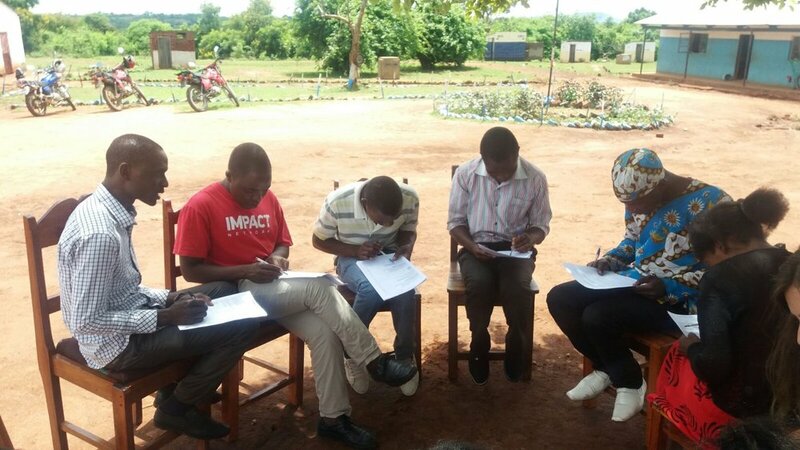 As 2017 comes to a close, the team in Katete West has taken the opportunity to pause, gather evidence of students’ performance and reflect closely on the goals for 2018. Through an assessment of 10% of students in the 9 Katete West Schools, the team has been able to gain a better understanding of students’ strengths and weaknesses in order to provide more thoughtful support in the new year. 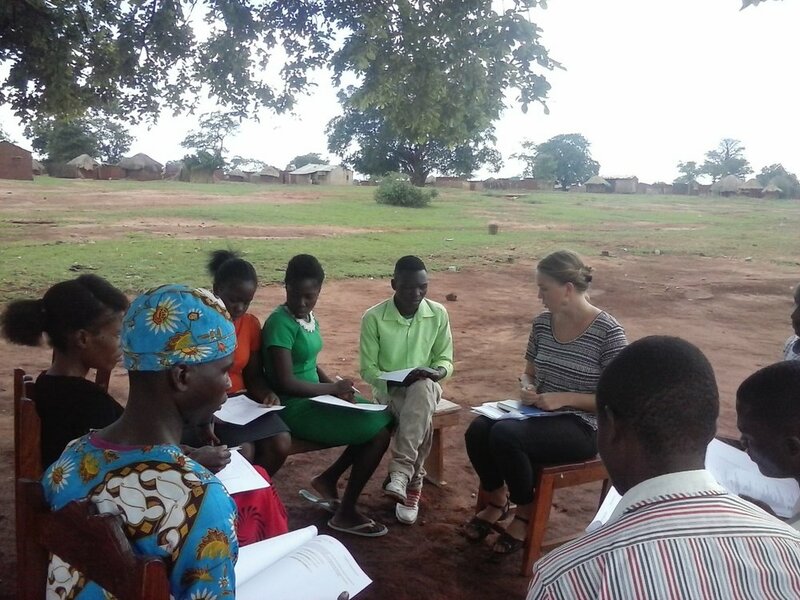 The assessments were largely inspired by the subtasks that make up the Early Grade Reading Assessment (EGRA) and Early Grade Maths Assessment (EGMA), which are widely used assessment tools in Zambia and beyond. A key part of the assessment was oral reading fluency in English and Chinyanja, which is often measured by the number of correct words per minute (CWPM) that a student can read. The Government of Zambia and USAID has set a benchmark of 20 CWPM for grade 2 students, yet in a 2015 study only 8% of students in Zambian grade 2 classes reached that benchmark and therefore a national target of 33% by 2020 was set. Impact Network’s students are already greatly exceeding this target as 50% of grade 2 students assessed could read more than 20 CWPM. This is worth celebrating! Another widely used indicator for literacy relates to the number of 0-scores or, how many students cannot read a single word. In the 2015 study by USAID 64% of grade 2 students scored 0 on their oral reading fluency assessments. At Impact Network schools only 14% of students assessed from grade 2 scored 0, which is great progress. However, this is still 14% too many as we would like to see the 0-scores be eliminated completely! It is important to ensure that no child is left behind during the process of learning how to read, as literacy in many ways acts as the key to other academic success. So although Impact Network students are performing well beyond national targets and have achieved great results, there is still much to be done and new highest to strive for. The assessments have helped the team come up with many ideas for 2018 on how to address some of the challenges identified. These include tailoring teacher trainings, enabling more peer learning among teachers and considering additional initiatives to complement the curriculum in specific areas. 2018 has many opportunities for further learning and the student assessments are only one example of how learning outcomes can drive decision making to further improve the quality of education in Impact Network schools. Cheers to a new year and higher goals for our students- Onwards and upwards! The end of the school year is here for Impact Network. Student assessments are complete and the results compiled and analyzed. The Katete West team finished the literacy and numeracy student assessments in all schools over the course of 3 days. The team managed to assess students from grades 2-6 at each school. I was very impressed from the beginning by the whole team. The designated leaders (grade 7 teachers) succeeded in coordinating the movement of students to ensure that each of the 2 boys and 2 girls selected completed each assessment. It wasn’t an easy task since it was also exam week, and students didn’t necessarily want to stick around after exams to be assessed even more. There was a great amount of cooperation among team leaders, teachers’ in charge and other teachers allowing for a smooth process overall. It was fun for me as well to become more familiar with some of the schools farther away I had yet to visit, and to get to know a lot of the teachers and students better. The first two days I joined groups going to Mkale and Zatose. I was surprised by the distances and conditions of the roads that made our journey over an hour each time. It left me with a greater appreciation of the dedication of Impact Network teachers and teacher supervisors who navigate these roads to teach and observe in schools and attend teacher trainings weekly. It is now rainy season, so Day 2 in Zatose was a race against the storm to finish assessments and avoid being on the road. That was when the extent of the remoteness really sunk in. After concluding everything, heavy rains came and we discovered an issue with the car. I panicked in silence thinking, What are we going to do? While waiting for the rains to pass and then for the driver and the teachers, also self- ascribed “bush mechanics” to work on the car, I made the most of that time by interacting with the grade 6 students who had just finished . When asked if they were excited for grade 7 next year, they answered with big, bright smiles that they were. My inner teacher emerged and to pass the time I introduced a game everyone back home learns in their childhood--hangman. Of course, I explained everything in English as my Cinyanja skills are not coming along as I’d hoped, but they got the concept rather quickly, even finding it really funny. That was the highlight of the whole project for me, being able to interact with students in a way that is both educational and fun on both sides. The other time spent in the schools with the students was very revealing. I helped to assess some of the older students in Math and English reading. Observations of strategies different students used to solve math problems were intriguing, but I was blown away by hearing some of the students reading abilities in English. It still makes me really proud and honored to be working with others who are improving learning outcomes in these extremely rural places. We are now in the process of sharing the results with teacher supervisors in preparation for January 5 teacher training. While a lot of learning is taking place in schools, we have also learned with the results, (further detailed in Felicia’s upcoming blog post) specifically areas in literacy and numeracy where students can be learning even more. In discussions with the teacher supervisors, they have been quite surprised, but also very interested and motivated in their workshop planning to improve teachers’ skills in these areas. 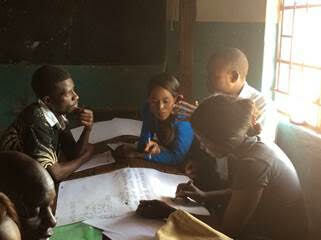 This week in rural Zambia, we are preparing to conduct student assessments at each of the 9 community schools. The assessments will take place next week, but the timing makes things a little more challenging because next week is also exam week. Luckily, our Implementation Specialist, Felicia, has been an amazing leader by getting everyone on board and plowing forward in high spirits. We will be using the USAID Early Grade Reading (EGRA) and Early Grade Math assessments (EGMA) used around the world to identify specific problem areas in literacy and numeracy. The assessments will be carried out by our dynamic team consisting of the Operations Manager, 2 Teacher Supervisors, the grade 7 teachers, and the Life Skills and Sexuality teachers. We had 2 days of training at Joel with a bit of last minute exam sorting and checking thrown into the program. During the training, Felicia explained the purpose and importance of this endeavor as well as how each of us can benefit from participating. She also emphasized important aspects like making sure students feel comfortable during the assessment to get better outcomes. Everyone had the chance to actually practice administering the assessment on each other and then later to students in Joel before we venture out to other schools next week. The results from that small sample were very helpful. Many students could read fluently in English, but when it came to answering questions about the reading, they had more challenges with the comprehension. This along with the data from other schools will allow us to set targets for next year and plan accordingly on what specific areas to focus on. The team will be divided into 3 smaller groups. What I love is that the role of team leader has been assigned to a grade 7 teacher on each team. Rather than giving the roles to other management staff, they have been given the opportunity to further their own leadership skills. Expectations were set very high on the first day, and I suspect many had doubts and possibly felt overwhelmed at the scope of the project. On day 2 of training the leaders arrived sharply dressed and I noticed that throughout the day they had in fact stepped-up by contributing to discussions and debriefs, and leading logistical planning sessions for next week. Like the teachers, this is also my first experience with EGRA and EMRA, so I’m excited to learn new skills in data collection and data analysis. I’ll be with a couple of different teams providing support and I’m really looking forward to seeing how everything pans out. I’m certain that challenges will arise, but Felicia has done a great job of instilling in the team confidence and positivity. A couple of weekends ago I attended my first teacher training with Impact Network. It was a fantastic experience that gave me a real insight into the dedication the Impact Network teacher’s have for their jobs as well as the great support they receive. The training took place on a Saturday 29th July at Mnyaula School beginning at 8am, which meant piling into a car with James (Operations Manager), Teselia (Teacher Supervisor) and Joseph (teacher in charge at Joel school) at 7am in order to get there in time to set up. This was my first time visiting Mnyaula and I had not grasped how far the distances are between some of the Impact Network schools (the drive was about 40 minutes from Joel) and therefore how impressive it is that Teacher Supervisors and other management staff regularly travel between these schools to observe teachers, sort out maintenance issues and generally ensure the schools are running smoothly. The day started with a breakfast of bread and tea (providing me with a much needed caffeine boost), followed by an opening prayer and a reading of the itinerary, which included a series of presentations from the teacher supervisors and myself (*gulp*). The first presentation was a joint presentation by the teachers of Mkhazika school on classroom objectives. Right from the outset it was fantastic to see the rapport that the teachers, from all schools, had with one another and how eager they were to read points from the presentation and answer questions. The presentation focused on the difference between short-term and long-term objectives and how these objectives form the outline for any good teaching plan. It was encouraging to see that the teachers had a good grasp on the material and I certainly learned a lot. The next two presentations before lunch were from the two Teacher Supervisors, Teselia and Petros. Teselia’s presentation was on the importance of keeping a positive attitude at work and the steps that can be taken when teachers are having personal or professional problems. Petros then presented on classroom management, specifically how to encourage students in a positive way and how to best deal with disruptive behavior. I had worked with both Teselia and Petros during the week and was very pleased about how well their presentations were received. These presentations in particular highlighted a real sense of community between the teachers and management staff and reminded the teachers about the support system they have available to them. Next up was lunch, a traditional meal of nshima (a maize dish, kind of like a dense mash potato), along with chicken and a cabbage relish. I had been eating nshima everyday for the past three weeks but this was my first attempt at eating it in front of a large group of people! Nshima is eaten by rolling it into balls in your palm and then combining it with bits of chicken and relish - luckily I passed the test and managed to eat my meal without too much embarrassment (although I was advised to make bigger balls of nshima, apparently mine were child-sized!). After lunch it was finally time for my presentation about learning through play and interactive classroom activities. The idea behind the presentation was to give the teachers some easy-to-use interactive activities and ideas around play in order to make their lessons more engaging. In the presentation I focused a lot on role play, as well as some specific activities (like math bingo). The presentation went down well with the teachers - particularly when they got a chance to play the games themselves! The presentation ended with time for open debate between the teachers about the pros and cons of interactive lessons and using play for all primary age groups. The teachers were split into two groups, one for and one against, and were very willing to start debating - there was a lot of laughter as well as some very good points made on both sides, which showed that the teachers had really engaged with the topic. The other motivation behind the presentation was to get teacher’s to start thinking about ways to make test prep and review more interesting. With the end of Term 2 fast approaching it is important for teachers to start planning the week of revision for their students for the end of term exams. Over the rest of the afternoon the teachers discussed (both in grade groups and all together) ways in which they could use the skills they learned from the day’s presentations, including keeping a positive attitude, lesson objectives, classroom maintenance and interactive lessons, to make their review sessions as clear and engaging as possible. The training finished around 4.30pm and it was time for everyone to go home for a well-deserved rest and to enjoy the weekend. After a brief selfie-taking session with some of the teachers I hopped in the car back to Joel and looked out the window at the stunning Zambian landscape. The drive gave me time to think back on everything I had learned over the day as well as topics to start researching for the next training in a few weeks time. My name is Fergus and I am going to be working with Impact Network as an Education Development Intern over the next three months. Since graduating University in 2012 I have spent a number of years working in the social sector in London, most recently with a social enterprise called Localgiving where I trained charities across the UK in digital skills and fundraising. This role gave me the opportunity to work closely with new charities each week, covering a diverse range of causes, and I was constantly inspired by the positive impact that these local organizations were able to make on their communities through harnessing digital skills. Many of the organizations I worked with were youth-focused and ranged from local, community youth centers to national organizations such as Girlguiding UK. I also became increasingly involved in a number of youth organizations myself and decided that I wanted to gain more experience of community-level, youth organizations in an international context. In September 2016, I began an eight month placement with the International Citizen Service in Bangladesh. During this placement I worked on education and gender equality projects in a small, rural community while leading multiple teams of young UK and Bangladeshi volunteers. It was an incredible eight months and was my first experience of working directly on education projects in a developing country. The community in which I was working had received sporadic aid over the past 20 years from a number of different organizations, which meant there was a real contrast between well-funded schools and the unfunded community schools that had received little to no financial aid. What struck me most in the difference between the children in these schools was not simply the students’ levels of numeracy and literacy but, more crucially, their self-belief. Previous to this experience I admit to taking for granted the power of education to develop a child outside of formal learning. However, it was clear from my time in Bangladesh that children who had access to an interactive and stimulating education consistently expressed a greater confidence of their own abilities and a stronger desire to use what they were learning to better their communities in the future. This experience motivated me to learn more about innovate ways in which organizations were improving education for children in rural communities and I was particularly excited when I came across Impact Network. 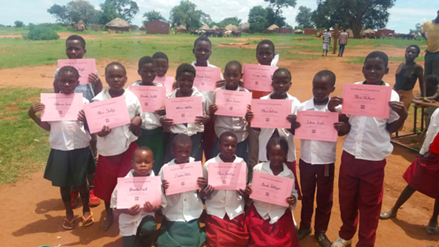 By empowering teachers with tablets focused on interactive and activity based lesson plans, Impact Network is able to bring quality education to communities across rural Zambia. As an intern I am excited about tying in my previous experiences in education and digital skills and learning first-hand how Impact Network is improving education for children in rural communities. I’m writing this blog from my room at Joel Community School, Impact Network’s first school, where I have now been for the past couple of weeks. It has been a fantastic experience so far and I have already got involved in a range of projects, including: helping to run a day-long exam committee, observing teachers across a range of schools and helping to develop teacher training presentations. I’m easing in nicely into village life, slowly mastering the art of making balls of Nshima (popular food made from maize flour) and, much less slowly, the art of carrying my water back from the local borehole without spilling it all over myself. There are a lot of exciting projects for me to work on over the next few months and I will be sure to keep you all updated. I often lose sight of the bigger picture while going about the business of our work; when I walk into a classroom, I miss the tens of curious, smiling faces for the rigorous inspection of lesson plans, classroom management and time on task. I’m constantly looking for the improvements – how can the groups be managed better, can we set up the tablets more efficiently, why is there a spelling mistake in that poster? That’s why weeks like these are incredibly refreshing for me. We had visitors in Joel village! On Sunday and Monday we welcomed Rob and Patti Ivry – longtime friends and supporters to the organization. After a wonderful day in the village on Sunday, I got to experience our classrooms through the eyes of someone seeing our work for the first time. I was able to see their faces as we traveled through dusty roads and came upon one of our schools in the middle of nowhere. I was able to witness their delight as our first graders welcomed them to our classrooms with a very loud “Good morning, madam/sir!”. And I was all ears when they compared our Impact Network classrooms to those they have seen around the world. Our classroom management was amazing – students appeared to lose little time settling into their desks and getting into groups. The content seemed quite sophisticated – fourth graders spelling chlorophyll (I admit to wondering whether it was one L or two Ls, but the ten-year-old at the board was correct!) and seventh graders learning the difference between “who” and “whom” (all three of us got one of these examples wrong!). Students were engaged and mostly undistracted by our presence in the classroom. Teachers, even some that had only been with us a few months, were clearly focused, determined, and excited about teaching. After a day observing three schools and over a dozen classes, Rob and Patti led their own classes – of yoga, and art work! 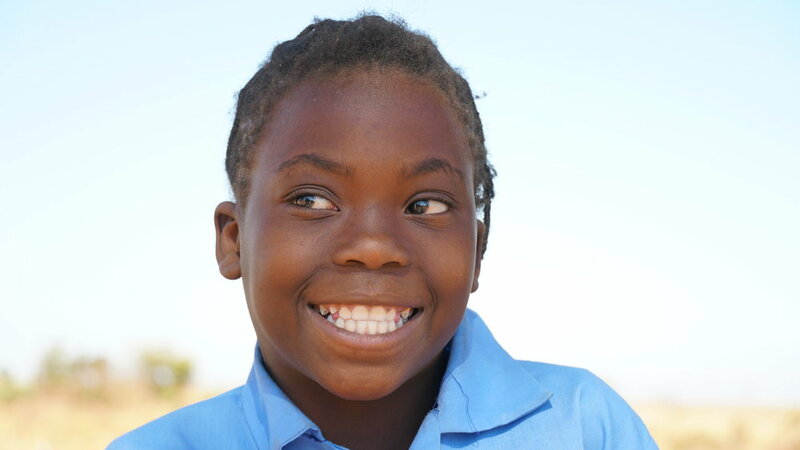 Despite a language barrier, Mpumulo’s grade three kids had an incredible time. A huge thank you to them for taking time out of their trip to visit us, and giving back to the communities that we serve. And an even bigger thank you to the teachers, staff, and especially the students, who let us into their lives on a windy Monday.